3ERP provides rapid tooling and injection molding services at highly competitive prices. Services include high-quality aluminum prototype tooling and hardened steel tooling for both low-volume and full-scale production. Injection molding can be carried out with a variety of plastic resins, custom colors and finishing options, with prototype parts delivered in as little as 15 days. 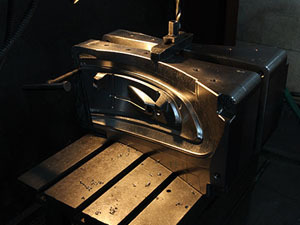 Our rapid tooling and injection molding services involve CAD/CAM part and mold design, design for manufacturability (DFM) and Moldflow simulation. We offer overmolding, insert molding and unscrew molding options, as well as weekly tooling schedule reporting and mold trail reporting. : Large volumes of resin parts can be created in a short space of time. 2. Detailed features: Because injection molding uses high pressure, the injected resin reaches every corner of the mold. This allows for complex and intricate geometries. : The repeatability of injection molding often results in a low cost per part. Additionally, aluminum provides a low-cost rapid tooling option. 4. High volumes: Using steel molds, injection molding can be used to create huge volumes of parts — into the millions. 5. High-strength parts: Molded parts can be reinforced by adding fillers to the liquid resin. 6. Ready-to-go finish: As long as the tooling has been appropriately finished, injection molded parts come out of the mold with a smooth appearance that require no further finishing. 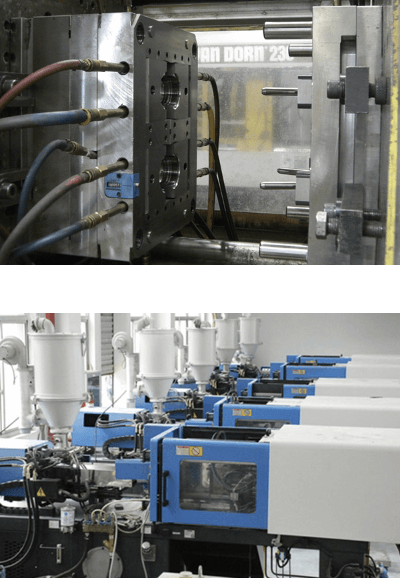 Rapid Tooling & Injection Molding? 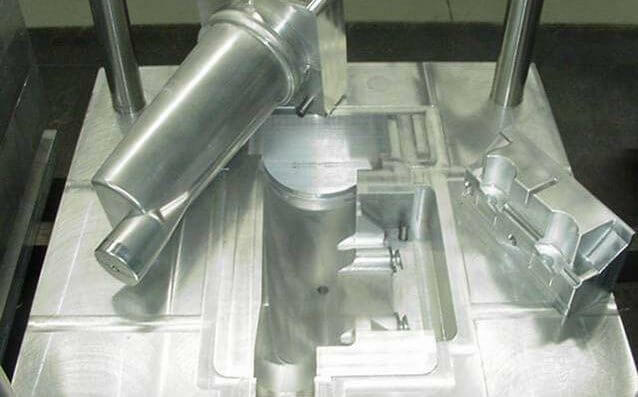 The rapid tooling process involves the use of aluminum or soft steel, a stocked mold base and hand-load inserts. It is suitable when traditional tooling is either prohibitively expensive or not necessary for the part or volume required. It is therefore a perfect way to minimize the cost when a small batch is required for market testing and when large volumes will not be required in future. Different prototyping processes can be used to create the mold. While 3ERP often leverages its experience in CNC machining to create molds, it is also possible to create them using additive processes like 3D printing. 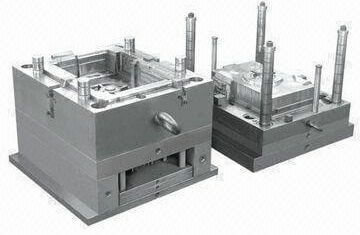 Injection molding is a manufacturing process in which molten material is injected into a mold. It is used to create large volumes of parts in a wide range of industries, from medicine to aerospace to consumer products. During the injection molding process the material is heated and mixed in a barrel, in which a reciprocating screw melts the material and feeds it into a split mold. The material is then injected at high pressure into a mold cavity, where it cools and solidifies into the appropriate shape. Injection molding is highly efficient when used in tandem with rapid tooling, allowing parts to be created in a short space of time at a low cost. For this tail light project, we needed to fabricate a housing, reflector, light guide, bezel, outer lens and other components. The overall assembly size was about 600 x 400 x 150 mm, which is relatively large, and the customer wanted to test real materials. In this case, 3D printing, CNC machining or vacuum casting would not have worked; prototype molding was the only option. 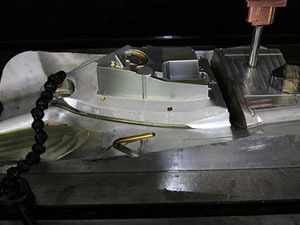 The ideal choice for prototyping, aluminum mold tooling is a highly cost-effective way to produce molded parts. Aluminum molds can reduce tooling costs by 15 to 25 percent compared to other mold materials and can reduce cycle times by up to 40 percent because they are easier to cut. This means faster turnarounds for customers. 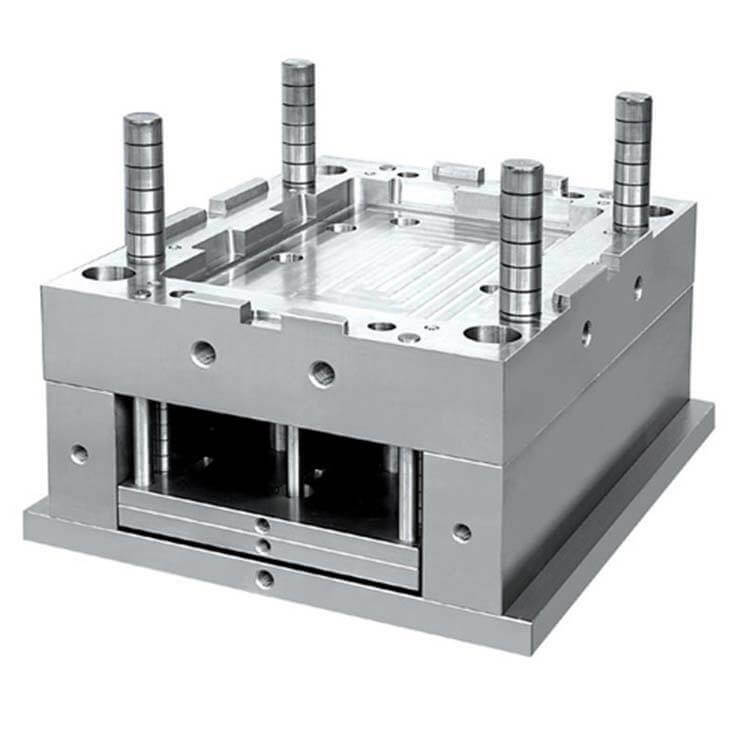 Since aluminum evenly dissipates heat, aluminum molds allow for a high level of dimensional stability, reducing deformation and consequently producing less waste. Steel is generally thought of as the more high-quality tooling material, though it is not suitable for all applications. Steel molds have a longer life cycle than aluminum ones, and are therefore useful for high-volume production. They can also be used to create molded plastic parts that are resistant to abrasion and corrosion. 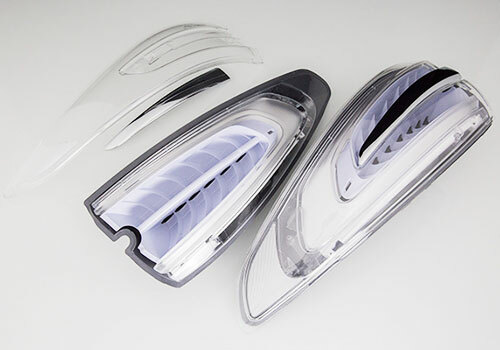 Overmolding is a variation of injection molding used to make a part from multiple materials. The process involves creating a substrate using injection molding, before adding to that substrate with further injection molding and a different material. The process of overmolding allows for the creation of multi-material parts that are chemically joined together. It is often cheaper and more effective than assembling multiple sections in other ways. Common overmolded components include items like toothbrushes, which consist of a solid plastic body and a rubberized plastic ‘grip’ area. The process is also useful for making parts more rugged, weatherproof or chemically resistant, by adding a resistant outer layer. Insert molding is similar to overmolding, but the substrate — the original section to which extra material is added — does not have to be made using the process of injection molding, nor does it have to be plastic. 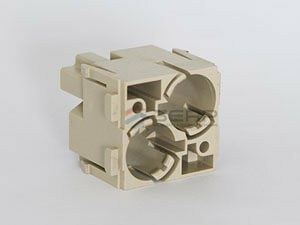 For example, insert molding can be used to add a plastic coating to a preformed metal part. 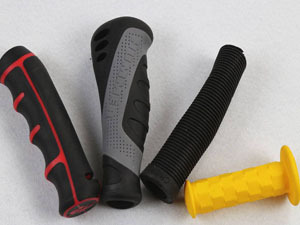 Common parts made using insert molding include sharp handheld tools. A scalpel, for example, may comprise a metal blade partially housed within a plastic handle. Parts that incorporate bushings, clips and fasteners are also frequently made using insert molding.